Promotional merchandising, including bags, on the whole is viewed as a low cost motivator; where products are purchased in bulk, printed with a company logo, and handed out at large events, or distributed to large numbers of clients or prospects. However, there is another side to promotional giveaways that can add real value to your brand. A lot of companies now are seeing the benefits of investing in alternative promotional products, especially bags, and not only for customers, but staff too. Over recent years there has been an upward trend in organisations promoting their name through high quality, and in some cases, co-branded bags. Of course, if you are hosting an event with thousands of prospects, it may not be viable to hand out a top of the range OGIO rucksack to everyone that visits your stand. But what about your current customers, and of course your employees? Sending a branded cotton shopper to your best customers at xmas may not give the best impression to some of your biggest clients, and giving your top salesperson a low cost motivator may not send the right signals around the company. This is where our range of high quality, technical bags, with designs for a variety of uses come into play. Looking at customers first – it’s a given that 99% of them use a bag to go to work. The way business is moving, everyone has to be mobile, and needs to take with them the vast array of technology wherever they go, safely. Providing practical, on trend, high quality rucksacks or holdalls to your best clients will give a great impression, not only from the initial receipt of such a relevant product, but the longevity of use, if chosen correctly. If you know your customer's business well, choosing the perfect bags from the CASE LOGIC, OGIO, ZOOM , or the many other ranges should be easy. And with some tasteful co-branding, applying your company’s logo, no doubt your corporate image will only improve. 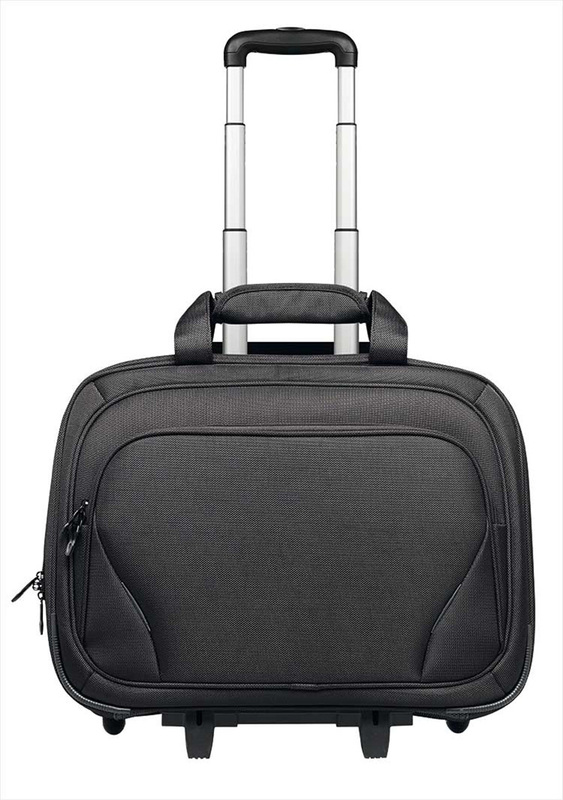 BAG 1 – Proton Shoulder Laptop Bag – Ideal for travelling Sales professionals – Airport friendly, large space for laptop and accessories, plus a large flat surface for clear company branding. 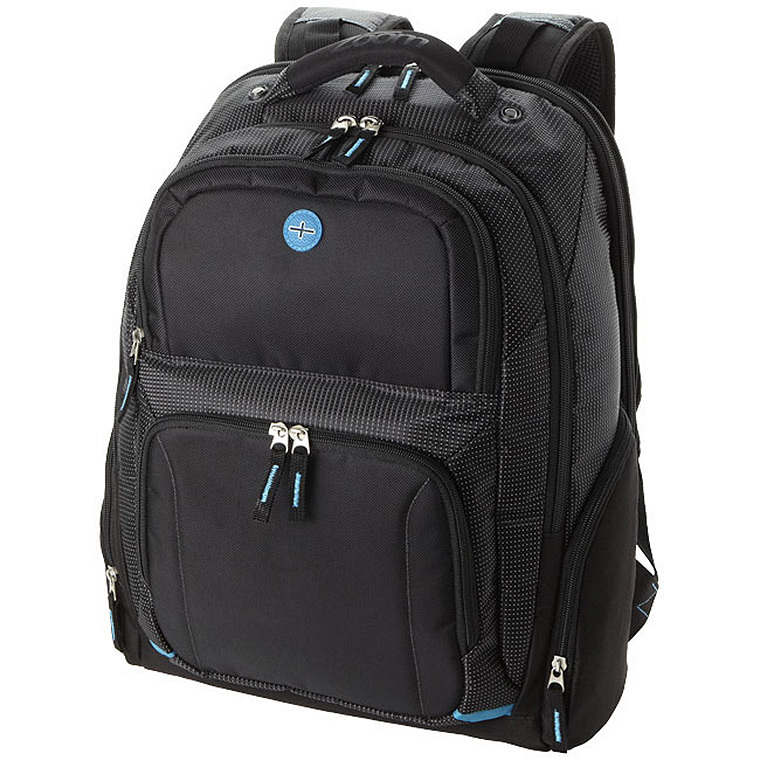 BAG 2 – ZOOM Laptop Rucksack – Ideal for teachers/lawyers – large storage capacity for paperwork, laptop plus more. Multiple compartments aiding organisation. Heavy-duty, ergonomic design, tailored towards daily use. Generous branding space, for logo application. BAG 3 – Macau Trolley Bag – A perfect option for sales staff and travelling professionals; this product offers more space and improved mobility compared with a shoulder bag alternative. 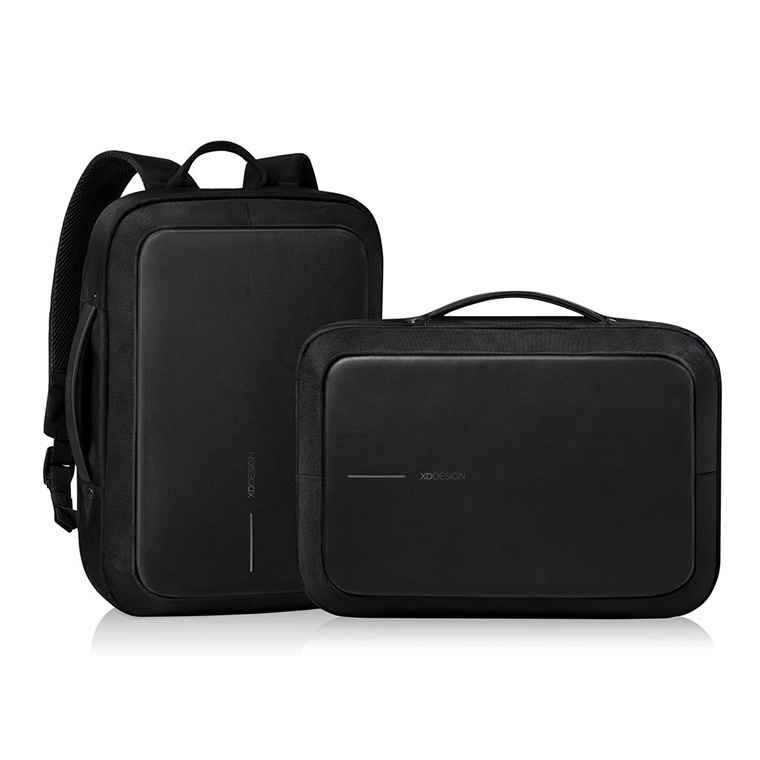 An Ideal option if travelling with more than just a laptop; e.g. pharmaceutical sales. Airport friendly. Large space for company branding on the front of the trolley. 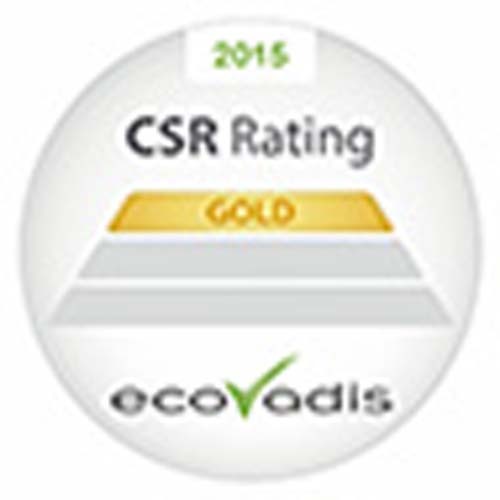 Providing staff with fit-for-purpose luggage also has great benefits. Firstly you can issue a bag that works for the individual – with a large choice of rucksacks, holdalls and trolley bags available, there will be a bag to suit every job description. By providing quality, branded satchels to your staff, you also ensure they are selling the correct corporate image wherever they go and create uniformity and consistency throughout your company. Every client, or prospect they see, and whenever they travel, that rucksack or briefcase, when on show enhances the strength of the organisation and hugely increases visibility and brand awareness. 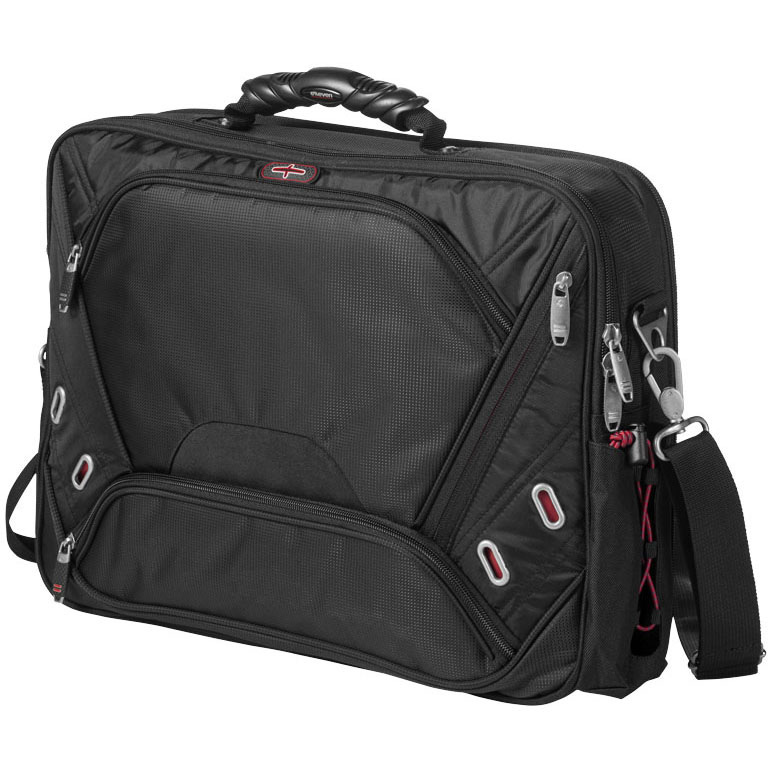 It is also common for these types of bags to come in a ‘range’, with 3 or more bags all with matching fittings and trim – like the CASE LOGIC, OGIO or ELLEVEN options - allowing you to choose one brand to work with even if you require 3 different types of bag. When staff are on the move or working out of office, there is of course the potential worry of the high value bags and its contents being a target for theft; it happens on a daily basis to even the most careful of us. Our new range of bags, (now available) are designed to mitigate this issue to the absolute minimum without compromising on usability, longevity or aesthetics. Our Anti-theft range comprises of luggage that will ensure contents are secure, whether on the tube, or in a coffee shop. The video below highlights some alarming statistics when travelling, and how these unique bags have been created with both security and usability in mind to hopefully bring those statistics down. 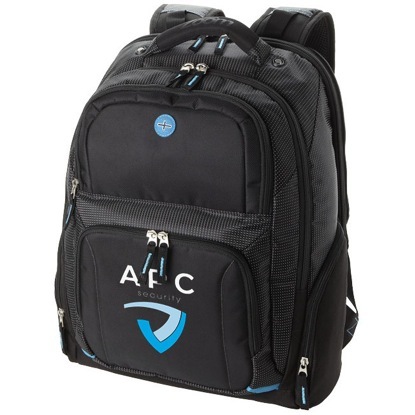 Within the range of anti-theft bags, there are a variety of rucksacks and holdalls each with unique design aspects that will secure your contents. Some of the bags, such as the Bobby Briefcase have an anti-slash material on the outside – toughened to withstand the potential slash of a blade, keeping your contents inside the bag, where they belong. One of the other features on the bags is concealed entrances/zips. 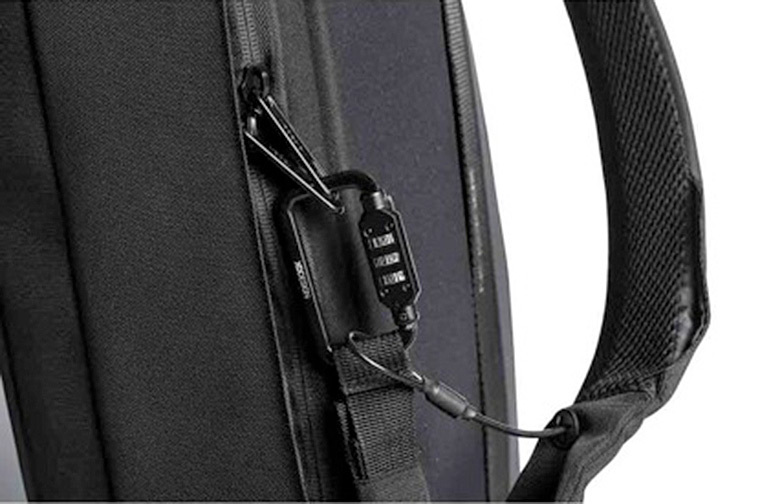 Many of the secure bags have been designed so that, once on your back, the zips are not accessible without removing the back from your person, stopping thieves taking advantage on busy trains or buses, and sneaking into your rucksack. 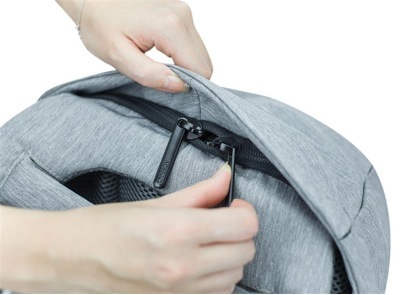 To top of the security features, some of the bags come with a locking mechanism designed for when you may have to leave your bags momentarily (like in the video), and also designated pockets for your contactless payment cards to avoid anybody swiping the data. To see the full range of bags that offers the unique combination of brand enhancement + peace of mind, click here. 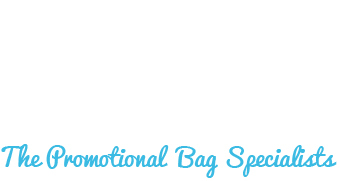 One great aspect of high quality, co-branded bags, is that they are just as suitable for promotional branding as dedicated ‘promo’ bags are, though we found this is not common knowledge amongst all consumers. Whether you require full colour logos, screen-printing or embroidery – the options available are not limited due to being a branded product. In many cases the aesthetics and design can often enhance the consumers logo, and sends a stronger image with the accompanying brand. At bagsofideas.co.uk we also respect the fact that a higher quality product comes at a higher price, and therefore the MOQ (minimum order quantities) reflect this – and the bags can be purchased in smaller numbers, from as low as 5 or ten in some cases. Every user of technical bags has different requirements, and we believe we have one for all scenarios, and can offer a product that both does the job required and promotes your company how you desire. If you would like assistance in choosing the right bag please get in touch and we will be more than happy to guide you.